Beechdown has three floodlit courts with a programme of organised sessions, leagues and drills. These are all coordinated by our full-time Sports Manager and Professional Tennis Coach. There's a wide programme of activities every week including Club Nights for Beginners and Advanced players, Drills as well as coaching for juniors from the age of 5 years. Courts may be booked up to one week in advance. Courts are released at 10am. Court sessions are for 60 minutes. 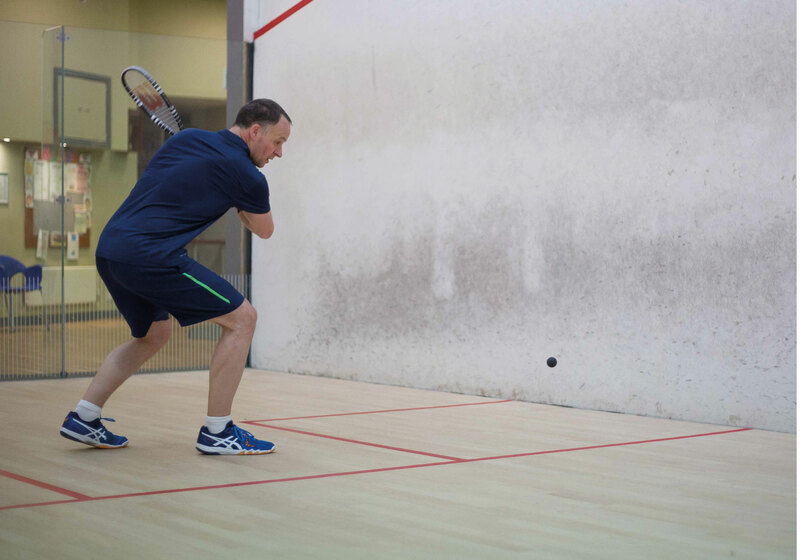 Our 2 glass-backed courts accompany a very successful squash programme which includes competitions and organised Social Club Nights. 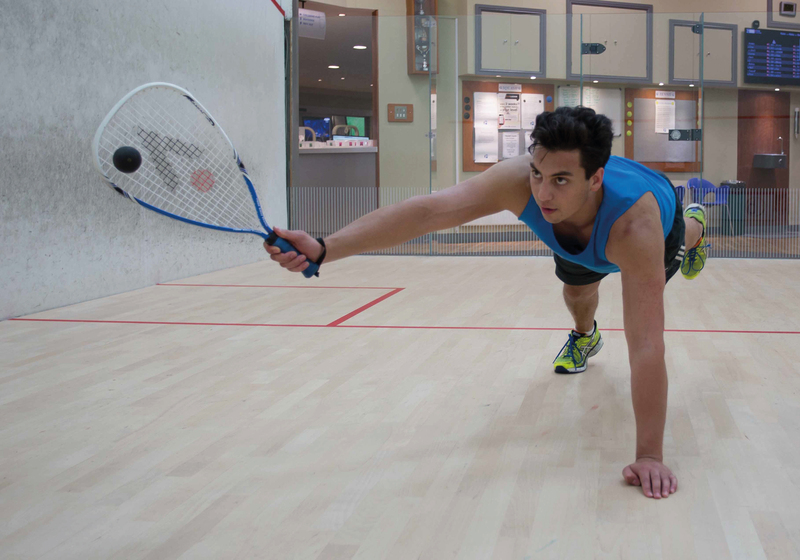 Tuesday evenings are a main feature if you want to improve your squash. 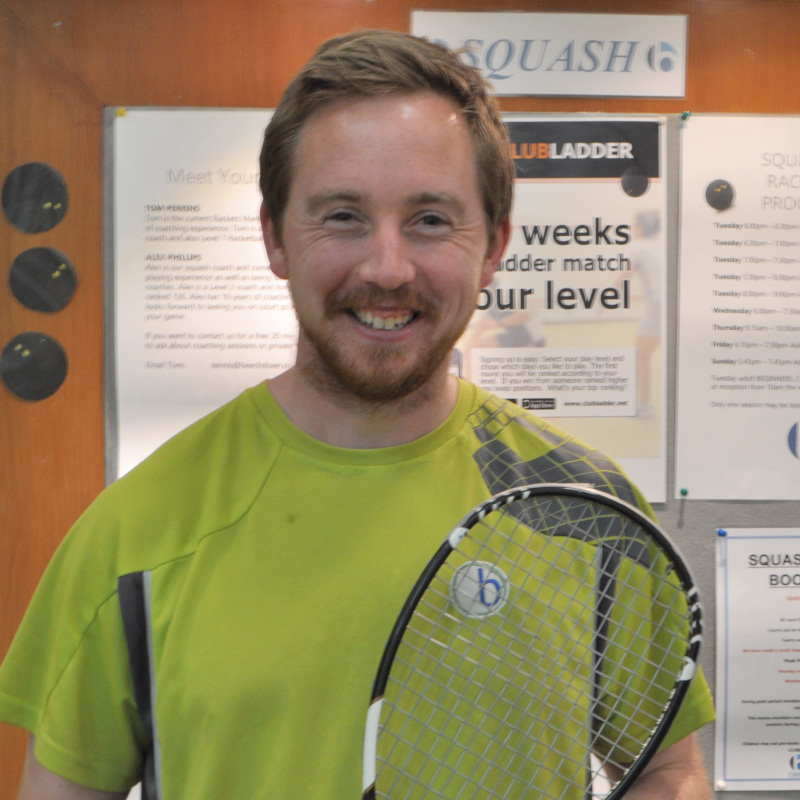 You’ll receive free coaching from beginners to elite with our world ranked professional squash coach. Courts can be booked online up to exactly 7 days in advance either on-line or in club. Beechdown has two Badminton Courts which are open all year round. We invite novices and improvers to the Monday evening sessions where you will be coached and guided. We have several teams playing in local leagues, Mens, Womens and Mixed. Racketball is the UK's fastest growing sport! Racketball is played on a squash court and similar to Squash. A bigger bouncier ball and a shorter racket make this sport easier to pick up. Overall this makes the game much easier to pick up than many other sports like Squash or Tennis. Racketball is said to be, "Easy to learn yet difficult to master" which is one of the key factors in the sport's recent growth. 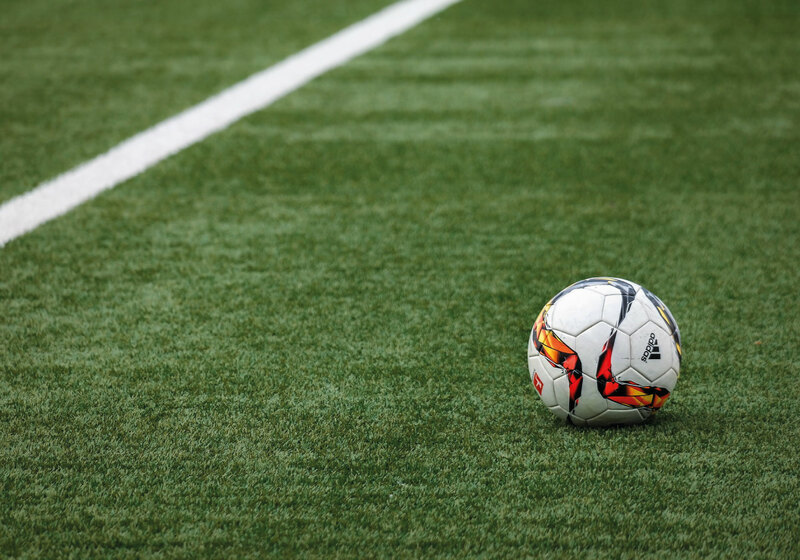 Our floodlit 5-a-side football pitch has a state of the art rubber granular surface and allows adults and children to enjoy their football without getting muddy or suffering from injuries so often caused from playing on hard artificial surfaces like AstroTurf. The pitch is open at all times for casual play, there are also organised group sessions for adults and coaching for the children. 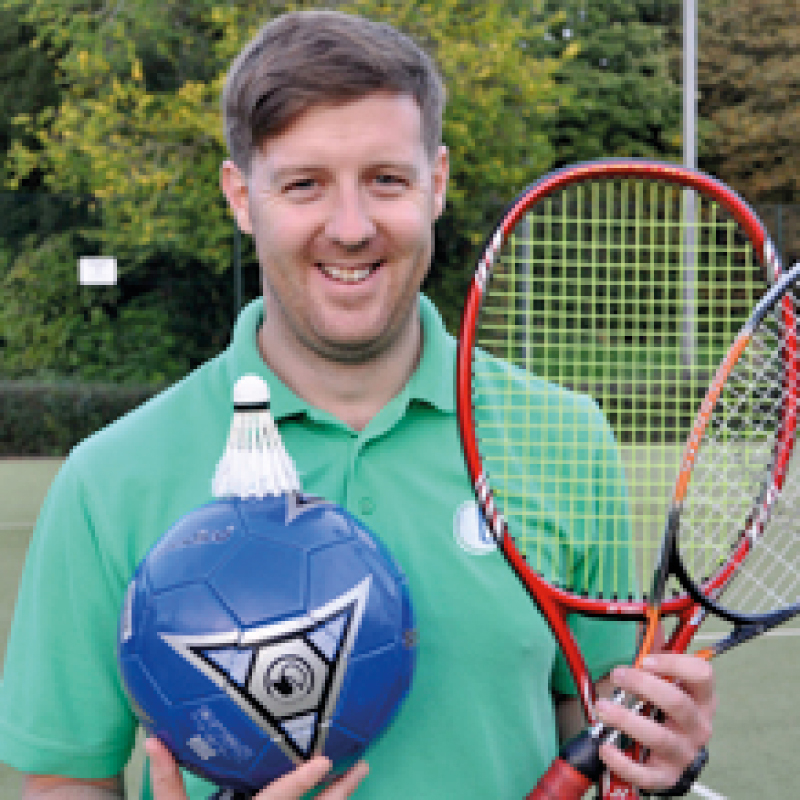 Tom is our Sports Manager, responsible for everything at Beechdown that involves a ball or shuttle (apart from FitBall!!!). Tom joined Beechdown in mid-2010 after roaming the world as a tennis player and coach. He coached Heather Watson in Guernsey, then moved on to China, Canada, Norway and USA before finding his home here at Beechdown. Tom is now a Level 3 Tennis coach and a Level 1 Squash coach. He also plays football at a good level and enjoys coching ALL sports. Tom and his partner Tanya recently had a baby girl, Ava, and live in the neighbourhood. See here for the coaching programme. Alex has been playing serious squash since the age of 9... that’s 18 years. For two years he travelled the world on the Professional Tour, playing in Australia, Malaysia and the Sub Continent. During this time Alex was regularly playing against many of the world's best including Malaysian star Azlan Iskandar who was #11 in the world at that time. Alex got within a point or two every game. He has also competed for national teams on the European circuit flying back and forth from Italy, Germany and Holland. Alex is now a full time coach, currently Level 2 and working toward Level 3 He still plays regularly and is Hampshire's first or second string. Tim and Andrea run our Badminton programme. They are both excellent players in their own right and qualified Badminton Association of GB coaches. 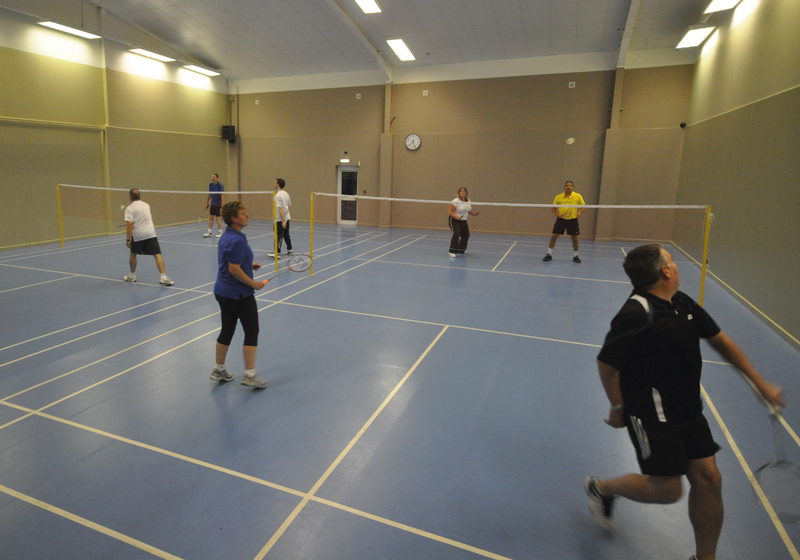 Beechdown has two Badminton Courts which are open all year round. We invite novices and inprovers to the Monday Evening sessions where Andrea and Tim will guide you and recommend which programmes would suit you best. We have several teams playing in local leagues, Mens, Womens and Mixed.